A coming-of-age story that tackles the thorny issue of Japanese identity. “Yamato (California)” is Japanese director Daisuke Miyazaki’s second feature film. The title reminds us of Wim Wenders’ “Paris, Taxis,” but “Yamato” invokes more than just a sense of displacement. It also points to a greater geopolitical reality. It turns out there is a part of Yamato which doesn't belong to the Japanese government, but the U.S. It’s one of the many U.S. military bases in Japan. 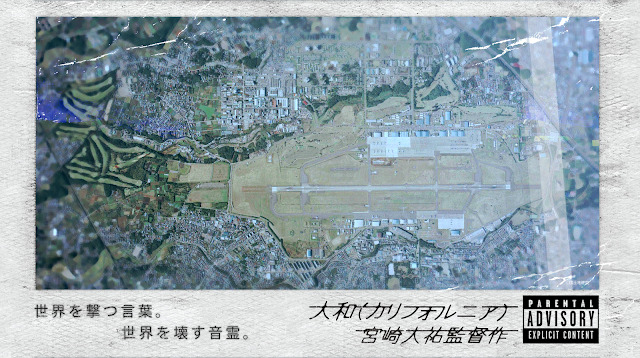 The director wants to make sure that we grasp the extraordinariness of this town; at the beginning of the film, a title card explains to us the background of the U.S. military base. Then, a long mobile shot shows us the never ending fences the U.S. military built to divide the military base and the civilian sphere. Later in the film, when the main character Sakura (played by the Korean-Japanese actress Hanae Kan) finally bonds with her new step-sister Rei (Played by the British-Irish-Japanese actress Nina Endo ), a drunken Sakura points to the military base and declares that over there is California and not Japan. Yamato (California) is screening at Japan Cuts, that will be on July 13 to 23. Sakura is a teenage girl (too young to attend a hip-hop concert legally), who grows up in Yamato, a small town in Kanagawa Prefecture. She loves hip-hop and wants to become a rapper. The only problem is that she seems to be unable to find her style. 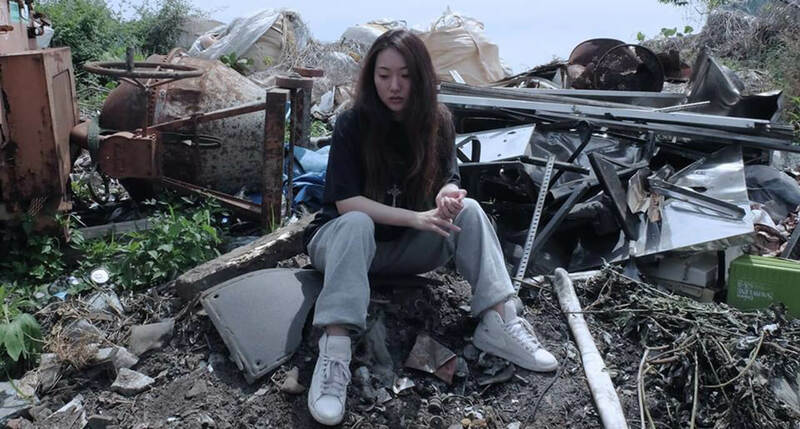 She works on her material diligently (an autobiographical rap song), but it seems that she either lacks the skill, or the confidence to perform in front of an audience. This will change when her mother’s American boyfriend’s daughter, Rei, comes to visit them. “Yamato” is full of metaphors and types. Among many things, it is about Japanese identity. Does Japan have a unique culture? Or is she only a copy-cat? Miyazaki tackles this issue by naming his main character, Sakura, Japan’s national flower. Just like Japan has lost her identity, Sakura is desperate to find her voice. Even the name of the town, “Yamato”, is also another name for Japan. What make these cliches come alive are Kan and Endo’s lively performances and Miyazaki’s vibrant visual style. Miyazaki knows his film history well. Just like Sakura is looking for her style, "Yamato" also moves from different film aesthetics. In the scene where Rei is first having a meal with Sakura’s family, Miyazaki shoots the scene as if he is making an Ozu film. He and the DP Akiko Ashizawa employ the “tatami shot” invented by Ozu. The camera is placed lower so it can capture the full bodies of actors when they are sitting on the floor. When the characters are talking, Miyazaki never uses an over-the-shoulder shot, or shot/reverse shots, instead he lets the speaking actor occupie the full frame and faces the camera directly as if he or she is addressing the audience. By invoking Ozu, Miyazaki reminds us that the family we are watching is not the traditional family in Ozu’s world. In Ozu’s world, the kids are just about to begin their adult lives and the parents are worrying solely about their marriage. In "Yamato", the main characters are essentially kids. What concerns Sakura is not marriage but self-expression. Rei will playfully seduce and taunt Sakura, but it feels more like an childish act than a serious romantic interest. Sakura’s older brother, Kenzo is caring and responsible, but he is an otaku who obsesses with anime, dolls, and fantasizes that he can use the app he invented to help the family financially. This is not Ozu’s Japan. It is a Japan that is rarely seen by others and is lost between different cultural influences.. It’s not pretty, cute, or edgy. Sakura’s family lives in a small apartment. She even has to share a room with her brother. Everything is messy. The "traditional" Japanese culture seems foreign to this family. Sushi is only for special occasion, like Kenzo’s graduation, or Rei’s visit. Shrines are merely touristic attractions. If the time has changed, shouldn’t the filmmaker use a different style to capture the present? In one moment, Miyazaki seems to be gesturing toward a new visual style. When Sakura’s brother explains the anime character dolls he made to Rei, he invokes postmodern aesthetics. For Kenzo, the boundaries between low and high culture are dissolving and the world becomes flatter. Then, the film cuts to a wild shot where Rei asks Sakura to show her the city. This is the moment where the two characters finally connect. The DP Ashizawa places the camera outside the house and behind a glass window. She shoots the scene in a wide shot, so we can feel the distance between Sakura and Rei. What’s brilliant about this shot is that she makes sure that the image of the garden outside is reflecting on the window. So, we can see Sakura, Rei, and the garden in one single flat image. Just like the brother’s claim, the world indeed becomes flat. From Ozu to postmodernism, impurity or hybridity is the form of “Yamato”. It seems to me that Miyazaki doesn’t think impurity is something that should be avoided. Instead, he multiplies it. The actresses who play Sakura and Rei are both multiracial person. Anime electronic music, Hip-Hop and Post-Rock permeate the soundtrack. At one point, Rei even reminds us that there are Chinese characters (Kanji) in Japanese comic books (Manga) that she never learns how to read. "Yamato" seems to be asking us: what does it mean to construct an identity out of hybridity? Miyazaki astutely shows us there are two ways to do this. The first way is to exclude all the foreign elements and forge a “pure” state. In one occasion, we see an ethnic nationalist march. The protestors are holding signs that urge for deporting all Asian immigrants. Sakura and Rei quietly observe them, distancing themselves from these hardliners. The second way is Sakura’s journey. It is a way of experimenting and collaborating. What you are is not predetermined, but a process of constant forging. One of the more pressing issues that the film doesn’t deal with is the relationships between the Japanese and the Okinawans. Okinawa doesn’t always belong to Japan. It has its own language and culture. It is only in the 19th Century that Japan incorporated it into its territory. While Okinawa is a small island south of Japan, over seventy percent of U.S. military forces in Japan are located in Okinawa. If Sakura struggles with U.S. influences, an Okinawan person might have to face the presences of both the U.S. and the Japanese culture. If the ending of “Yamato” shows us that the true way to find your voice/identity is to work and learn with others, then where is the place for Okinawans under this discourse? Should they work with the Japanese and participate in the formation of a new identity? Or should they find their own voice? This is not the film or the director’s fault to not tackle this question, but I will be looking forward to see Miyazaki dive deeper into the complexity of the issue of Japanese identity.